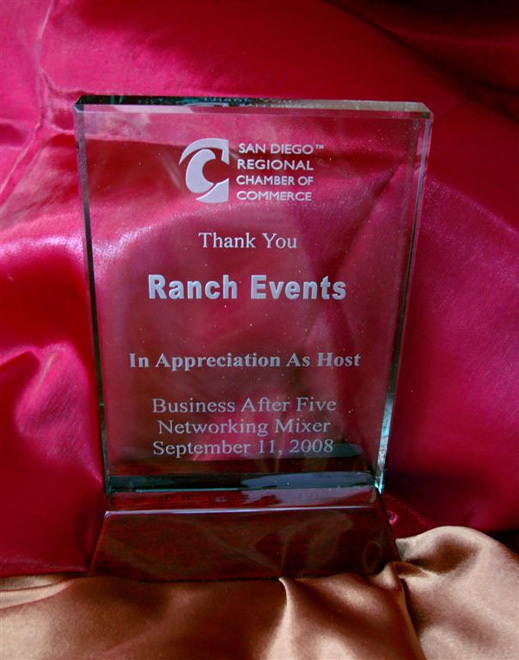 Ranch Events is one of San Diego’s leading catering specialist, managing many exciting and unique venues and some of the largest Special Events in America. Ranch is also renowned for its innovative, fresh menu ideas and outstanding service. We operate in a dynamic environment drawing inspiration from all corners of the globe. Great food is our soul and passion and we take pride in the success of each event in which we participate. Our menus are based on quality fresh produce, perfectly balanced flavors and stylish yet simple presentation. Our people are dedicated, caring and will deliver your event with good taste and confidence. They are our ambassadors and our “face” and are therefore a vital ingredient in our success. Our service staff is professionally trained and is encouraged to be expressive in their roles. We have a maxim that “nothing is too much bother”, always ensuring an outstanding level of service. We just wanted to tell you about our experience on Friday April 24. First Jose and the staff that was at our event were fantastic. When we set up the room at the VFW in the morning it was hard to imagine how it would all look once it was all set up with linens, decorations and food tables set up. When we walked in I was overwhelmed and so happy with how beautiful it was. The staff made everything so nice. I had left an example of how the center pieces should be placed on the tables and the staff did a fantastic job getting them just right. I had made small buckets with candy for favors. I wanted one set at each of our guests place settings. The staff had a better idea and placed them on a separate table and had them displayed so beautifully. Jose asked if everything was set up to our standards. It was and even better. Throughout our event the staff was attentive to us and all of our guests. We had a buffet and we were served rather then going through the buffet. The bartender and the club manager at the VFW were served food by the staff as well as they were busy with the event as well. Wow how nice and beyond our service expectations. The bartender wanted to tip the staff for such wonderful service but they refused. Our best man was so impressed with the service he did tip the staff. The bakery we ordered our cake from failed to provide us with our cake. This caused a delay in the ceremony; we had our ceremony and reception at the same venue. Jose asked if we wanted to push back dinner service as the grooms daughter was across the street trying to get a cake from the bakery to serve to our guests. We had her return to the venue so we could get married and have dinner served on time. When the grooms daughter did go back to pick up the cake the Ranch staff were more than happy to bring the cake in upon her return. We did have a groom's cake ordered from Ranch and used that for our cake cutting ceremony. It was fantastic. Now for the food from hors d'oeuvres through our dinner buffet everything was fabulous!!!! We received many compliments. Our guests kept telling us how the food was so wonderful. They all asked who catered the event and we were happy to let them know. The prime rib was as many guests told us " the best they have ever eaten"!!! We were so impressed with Ranch from our tasting experience to the final day of our event!!!! Thanks again for a wonderful experience, a fantastic staff and amazing food!! I am compelled by gratitude to write and express the blessings of my experience working with you and Ranch Events over these past two months! During my first telephone conversation with you in early December, you instilled confidence, hope, and assurance that with you and Ranch Events on board, our February 8th Celebration Event would be awesome… And it was! Each and every time we talked or I had a question, you were immediately responsive, accommodating and assuring. I so appreciated you! Thank you! Your willingness to meet Steve and me with Jon at Sunrise was such a relief and a reaffirmation of our choice to hire Ranch Events. Your idea, knowledge and experience were invaluable. And then to have a second meeting with Bob and his assistant, Kathy, was beyond any expectation. 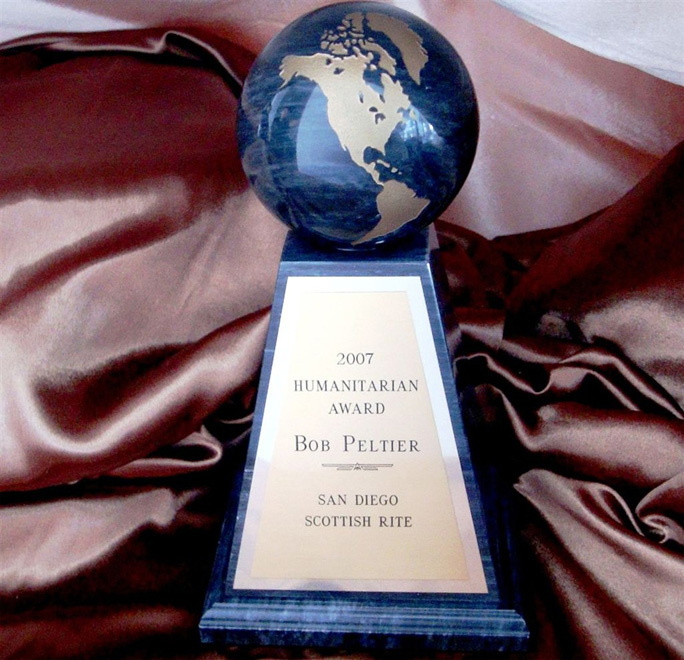 Bob’s calm, gentle and generous responses and his depth of understanding of our situation was a true blessing. He is amazing! Thank you for everything… and there is truly so much for which we are thankful to you during the entire journey. The food was delicious and served hot; the service was courteous, gracious and prompt. 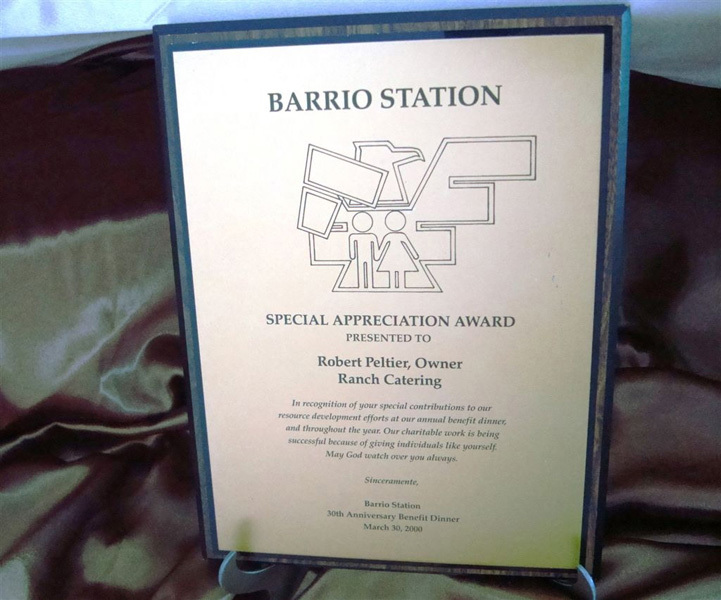 Our entire event was a success largely due to you, Bob, and Ranch Events, and the working relationship we shared. I wish you could have seen the beauty of the room and the wonderful, delicious, enjoyable evening shared by all in attendance. Thank you from the bottom of my heart! New School of Architecture & Design has worked with Ranch Events for nine years. Year after year your team has continued to provide exceptional service and quality food no matter what the size of our event. This past spring, we ran six events in the span of five weeks. Your team’s attention to detail and versatility was the key in all of these events running smoothly. Of particular note, were our back to back events serving over 700 individuals each in the span of less than 24 hours- both handled flawlessly. Your teams were on time, prepared for ever contingency, resourceful and professional. Although we enjoy the food you provide- and it is yummy-, we continue to work with you year after because of your top notch staff. 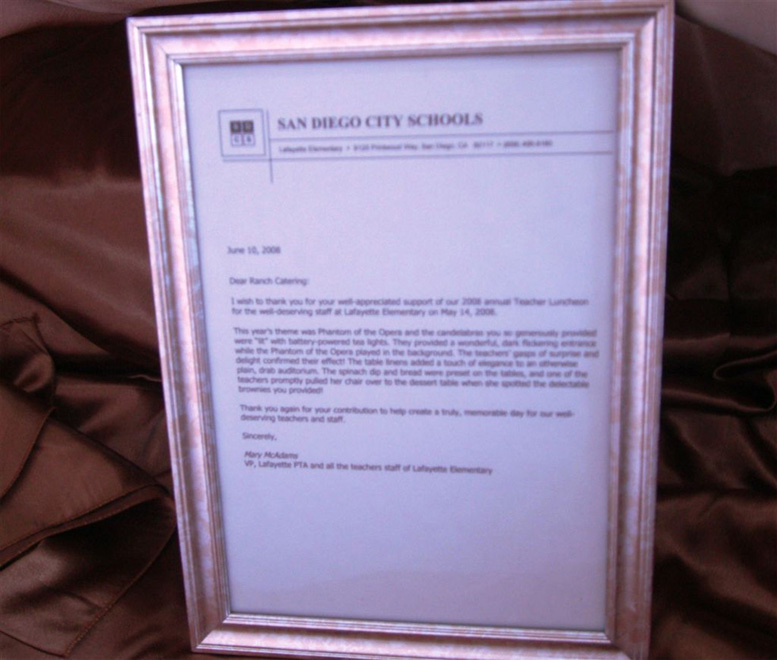 I would like to personally commend Julie Palomares, Marco Lopez, Salvador Zeckua and Scott Grey. I can always count on these individuals to exceed my expectations and provide the highest level of customer service. Ranch does it again! I recently had a big party to combine the celebration of my 45th wedding anniversary, my 70th birthday and my mother’s 94th birthday. Many of my guests told me how delicious the food was, how beautifully everything was presented and also how outstanding the service was. The staff was professional, friendly and efficient. Ed Davis, our coordinator, went above and beyond my expectations and produced a wonderful experience for me and all my family and guests. I will certainly recommend Ranch to both friends and professional acquaintances. Thank you again for an outstanding event. - the set up of the food/drinks/desserts was wonderful. It looked GREAT! The plants were a nice added touch; the runners were perfect. They went above and beyond with set up. - The food tasted great. I especially heard lots of comments of how wonderful the prime rib was. - clean up was excellent; they put all left overs in plastic containers for me. I, personally, was 100% satisfied with service/food/presentation, etc. I will not hesitate (and in fact plan to) use Ranch in the future. The party turned out to be a great surprise for my husband and everyone gave raving reviews! Thank you, and your staff, for all wonderful work you did to make it such a special evening. Thank you so much for such an amazing day! People keep asking who the caterer was and kept raving about the food! We had such a great day and can't wait to see the photos! Thank you so much for everything you and all of Ranch Events did for us. Your teams really made our dreams come true and then some! The young lady that was the designated server for Louie and me during dinner was AMAZING and so was the guy who came right up to us the moment we went to the cocktail hour and had a whole tray of food just for us. He was awesome! Thank you again for everything and we would be more than happy to be a reference for you if you ever need it! Thank you so much again. I'm the bride's mom and I just wanted to thank you so much for helping to make Marion and Jeremy's wedding so perfect last weekend. It was a very special day and your help and guidance made it truly memorable. Everyone loved the room, the appetizers, the dinners, the presentation, the service, and the fact that Marion and Jeremy had such a great time (along with everyone else) made us so so happy. Your calm presence and confidence that all would go as planned helped all of us to relax and enjoy every minute. I can't thank you enough for all that you added. I have had so many letters, emails and phone calls telling me that this was the best wedding our friends and family ever attended. I know Marion and Jeremy were responsible for much of that but it wouldn't have happened without you! Bless You!! and Thank You!! The rental part of the service was fabulous! Exceeded all my expectations! Everything was there and in beautiful condition! Nothing was missing and the quantities were perfect. Everything Ranch Events did exceeded my expectations! The staff was exemplary! 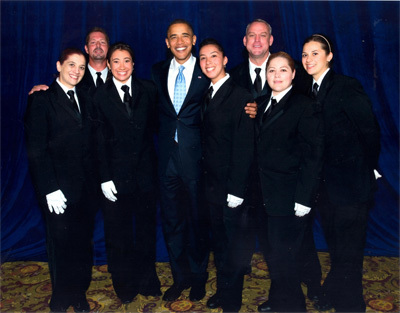 They were courteous, kind, caring, professional in every way yet personable, efficient, hard working, well dressed, groomed, etc. The cake was unbelievable! It was EXACTLY what Lindsey wanted! Maureen topped it with fresh flowers and it was just like a picture from a magazine! And it tasted fabulous! I am so happy we went with your cake! The food was fabulous! It all had great flavor, it was hot, fresh and plentiful. I don't believe we had any leftovers! It was good to have the au jus and horseradish. Everything proceeded as we had planned - but none of that could have happened without all your knowledge, efficiency and attention to all the details! You really made it all happen! I wish you could have seen it! You would have been so proud! It was truly a pleasure working with you and I will recommend Ranch Catering & Events (and you as their consultant) forever! In fact, I was just working with our CEO and told him how wonderful our event was because of you! I know Maureen was impressed too. Bride and Groom were so happy and very pleased with everything. It was a beautiful wedding within a reasonable budget. I am the manager at first Congregational Memorial Tower. On Thursday Dec 17, we had our Christmas Party by Ranch Events. I just want to take this opportunity to tell that it was the most “perfect” dinner that we could imagine. Bernardo and his crew did a spectacular job. There was nothing we could have wanted that he didn’t provide. The entire senior community was overwhelmed by the beautiful décor and marvelous service not to mention the mouth watering food. Once again, my sincere thanks and gratitude for everything that was provided to us. We will be sure to spread the word. A heart-felt thanks for your contribution of breakfast and lunch made towards the "Fly Day" your donation was truly appreciated and a wonderful gift to all the kids and family members. 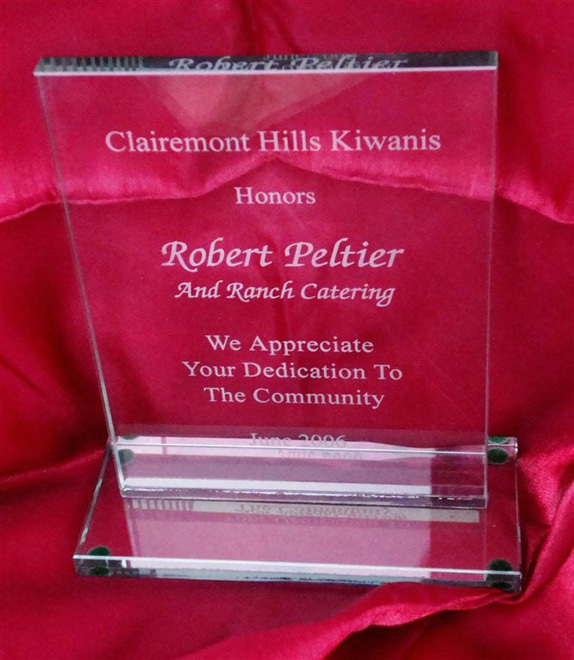 I want to express my sincere gratitude for helping the community celebrate de Clairemont Library's 50th birthday. You and your staff FAR exceeded my expectations. On behalf of Lions, Tigers and Bears we sincerely thank you for your generous donation of help at our Between the Stripes Fundraiser and helping to make it a success. The Patrons of our Auction were pleased to learn of your support for our ministry to women and children in crisis. Thank you for your help in making this event so successful. Thank you so much for your continued support of the Portuguese Fiesta and the Community. Without your generous donations of success would not be possible. On behalf of St. Rose of Lima Parish, we would like to take a moment and thank you for the beautiful event you organized for us. The executive board, of the Clairemont High School PTSA, wishes to thank you for your generous gift of foos items on the occasion of the teachers' Holiday Brunch. Ranch Events went above and beyond in their service and added many of the best things about the evening and contributed to the event's success from the decorative linens and dishes to the service and food. We are ever so grateful for your generosity in giving the box of baked goods. I don't know what made you want to do such a kind thing, but thank you a bunch. We don’t just work in our communities. We work with them. Ranch Events Code of Conduct serves as a compass for our employees, directors and business partners to consistently act with uncompromising integrity as we build trusted relationships. City of S.D. Equipment Div. Mesa Valley Grove Senior Cntr. 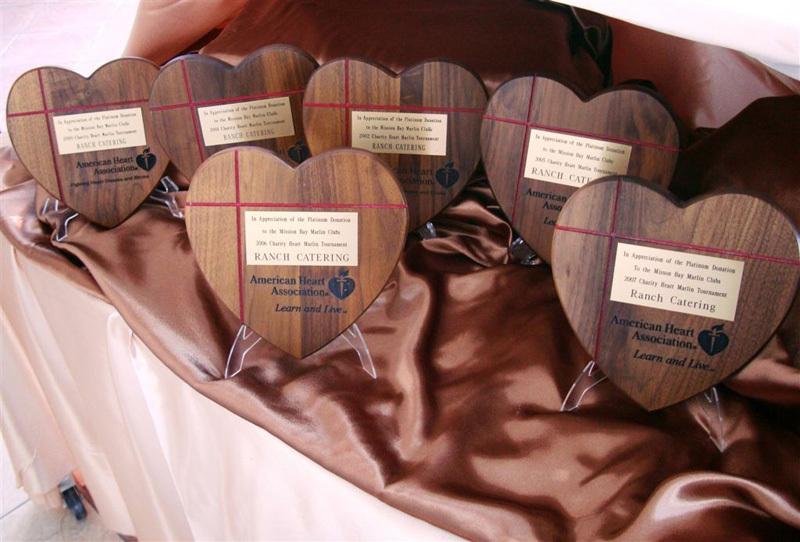 At Ranch Events, we are guided by a set of core values that define who we are and what we believe in. We’re committed to doing business with integrity, accountability, initiative and respect – respect for our employees, business partners, shareholders, customers and our communities. Ranch Events has defined three key elements of diversity: workplace diversity and inclusion, community relations and supplier diversity. We believe it is vital to have a workforce that reflects the diversity of our customers and the communities we serve. Our commitment to diversity extends beyond employment practices. 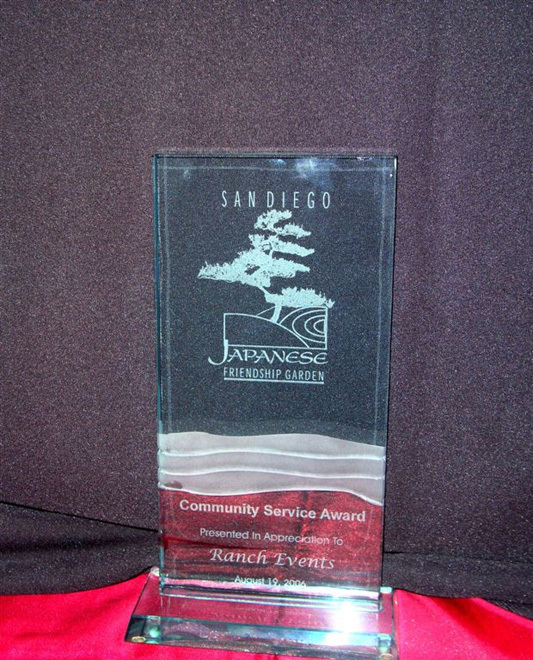 It is also reflected in our company’s long history of community involvement. 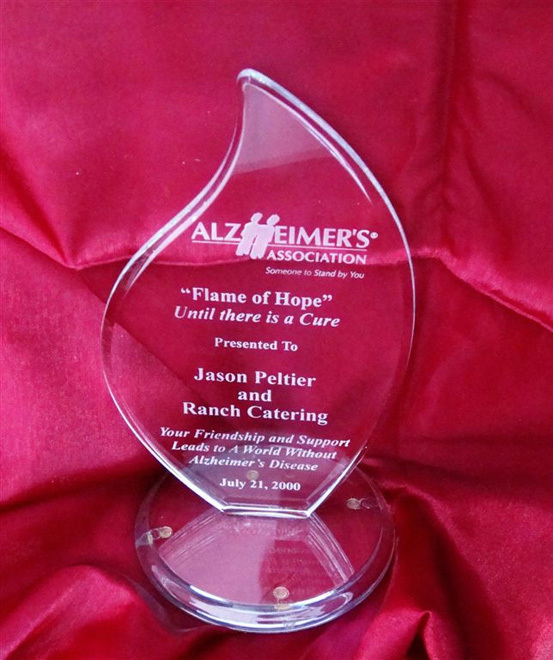 For more than 15 years, Ranch Events has. Supported educational initiatives, community redevelopment and other worthy programs through financial support and employee volunteerism. We tailor our outreach efforts to meet the varying needs of the communities we serve. Ranch Events is proud to be a part of the success of many Minority-owned and Women-owned Business Enterprises (MWBEs). We support these companies by providing business Opportunities. Our supplier diversity program builds partnerships that deliver value to our customers. As we move forward toward achieving our vision, we’ll continue to look for ways to open the doors of opportunity through diversity. Welcome to Ranch Events Sustainable Applications for a Viable Environment (SAVE) Initiative online headquarters. – Minimize the impact of the event industry on the local and global environment. – Produce green and environment friendly events. – Assure a safe and healthy work environment. – Make our business more sustainable. – Work with community leaders. Ranch Events is deeply committed to lead by example and be a strong pillar in the community due to all the drastic changes that our planet is going through and the scientific evidence that most humans are living unsustainably. We are developing and implementing comprehensive recycling systems, energy use efficiency programs, water use efficiency programs, sustainable purchasing and waste disposal programs because we understand that returning human use of natural resources to sustainable limits will require collective effort. 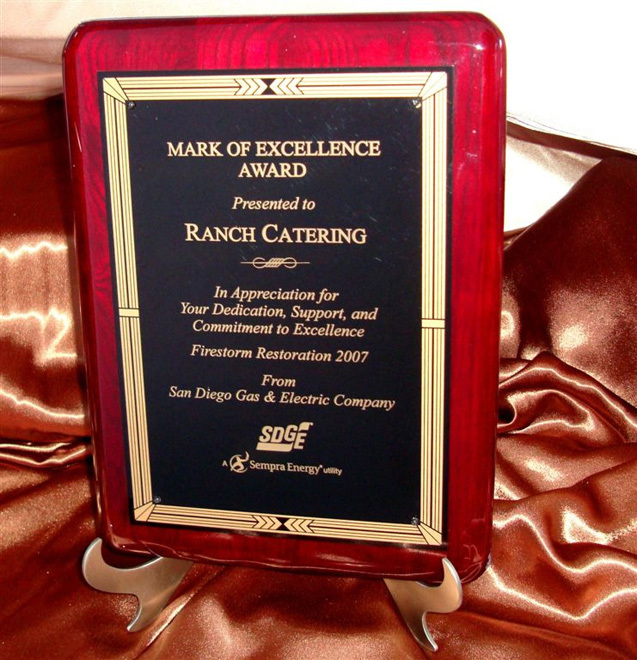 While rentals, as the ultimate form of “reuse”, are inherently good for the environment, Ranch Events is also focused on operational excellence and efficiency at all of our facilities. By properly maintaining our equipment, vehicles, and facilities and minimizing unnecessary second trips and wasteful/redundant processes, we save vehicle fuel, power, water, chemicals, and natural resources. We feel strongly that the greening of the events industry must be a collaborative process and we welcome your feedback and involvement in our programs. Please feel free to contact us with any questions, comments or ideas. were absolutely thrilled with your event. We take great pride in the work we do here at Ranch Events.